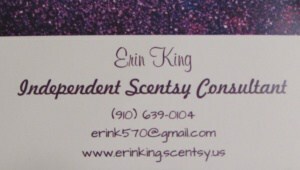 Erin King has been an independent consultant for Scentsy for about two months. With Scentsy, King is able to inform the community about flameless candles, a way to get the scent of your favorite candle without the concern of an open flame. Scentsy provides wax warmer plug-ins as well as a variety of scents. 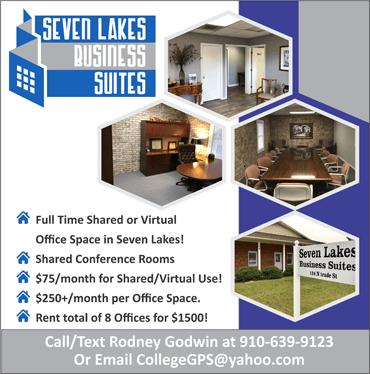 To learn about hosting a Scentsy Party, call Erin King at 910-639-0104, or email erink570@gmail.com. CLICK HERE to view her Facebook Page or CLICK HERE to view Scentsy products.